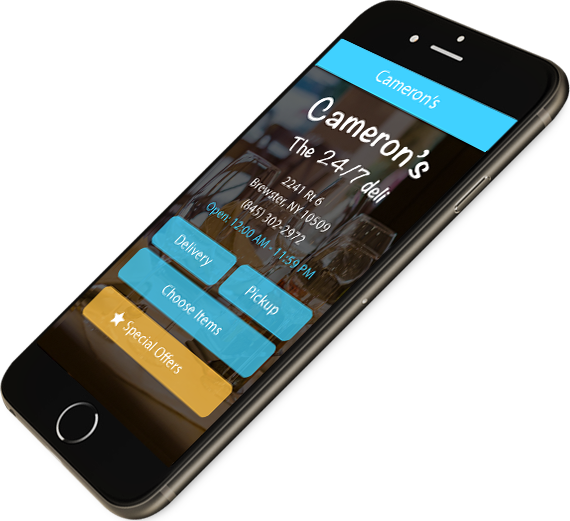 With an abundance of businesses and restaurants to choose from, customers are most attracted to those that are trendy and offer an interactive user experience. 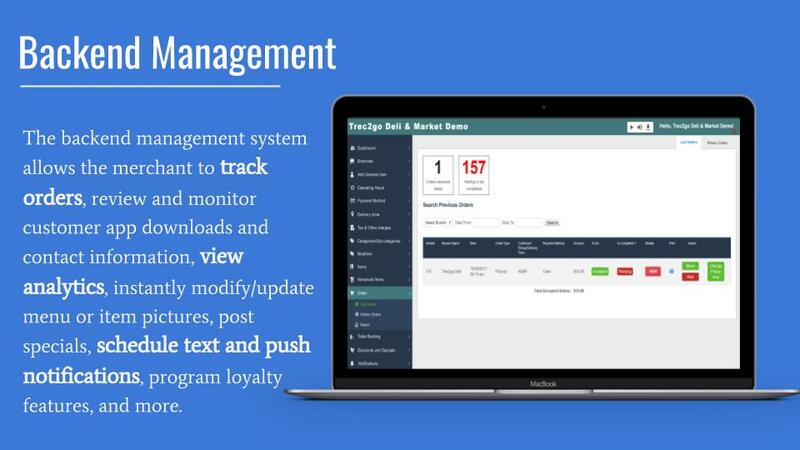 Whether it is simply just a variety of items being advertised and ordered on a PC or making reservations from a smart phone while on the road, TREC is pre-designed to be used for all types of businesses and will give your business the exposure that it needs. 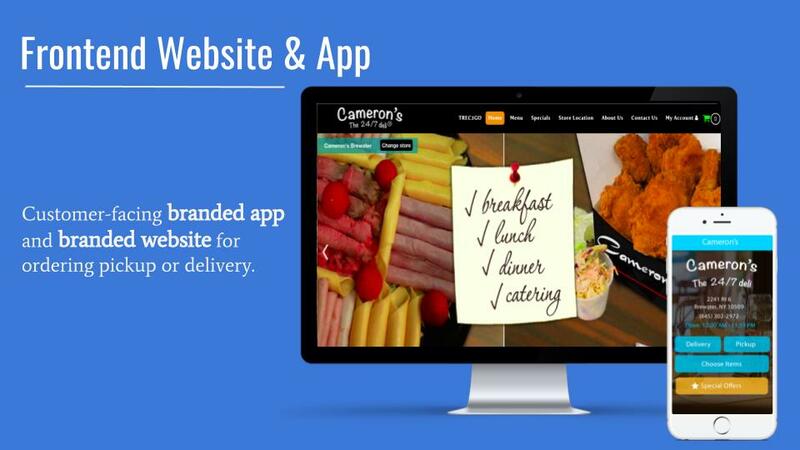 products, and services on the web and app stores. 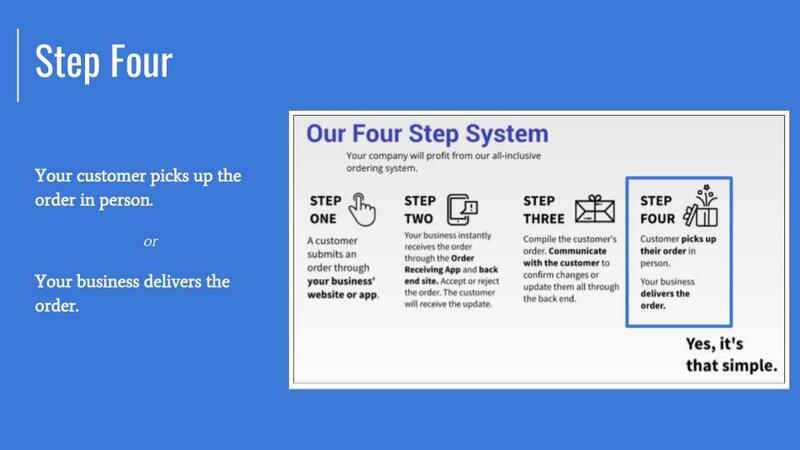 through this advertising and sales platform. 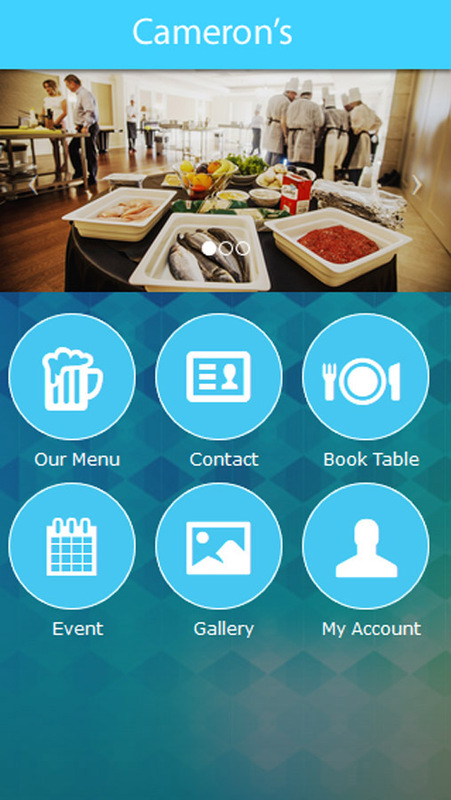 With our solutions, you can engage, inform, and impress your customers. Looking to earn recurring additional income? 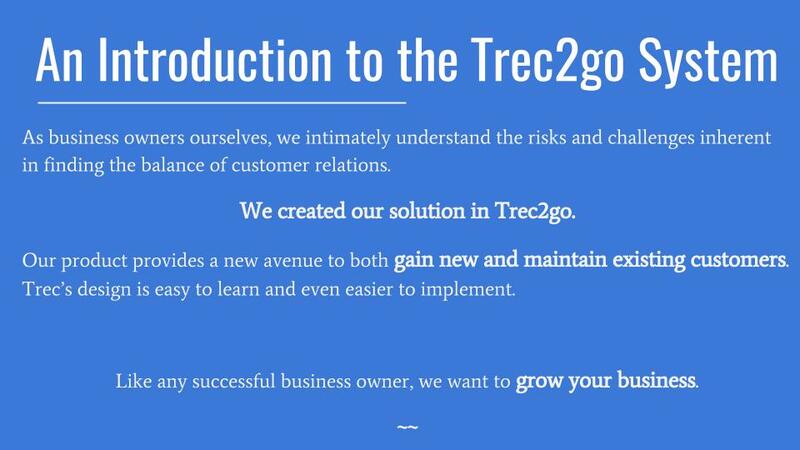 Become a member of the Trec2go team and our profitable business opportunity is available to you. Thank you for considering TREC. 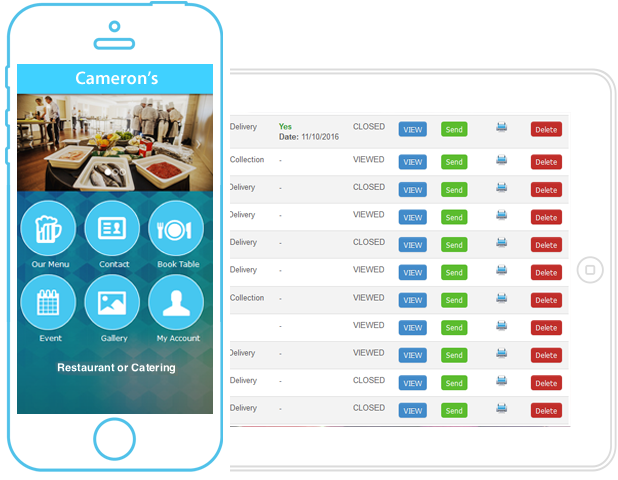 As a company we are committed to providing a streamlined solution for mobile ordering and to-go apps. Providing you with the best possible experience is our goal as your valued partner. 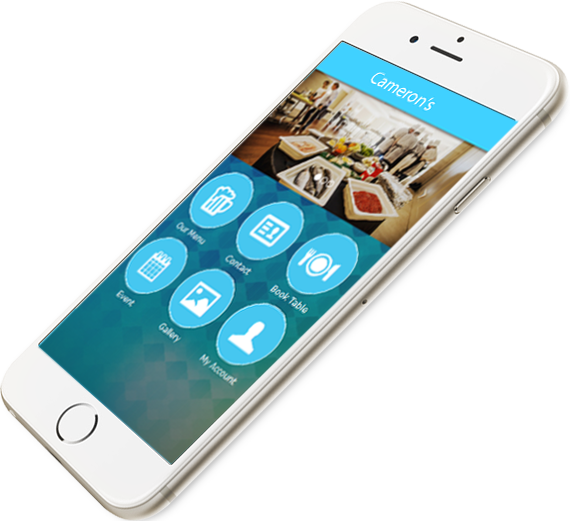 And providing you with an Advertising App that is easy to use and more versatile than anything out there is our mission. 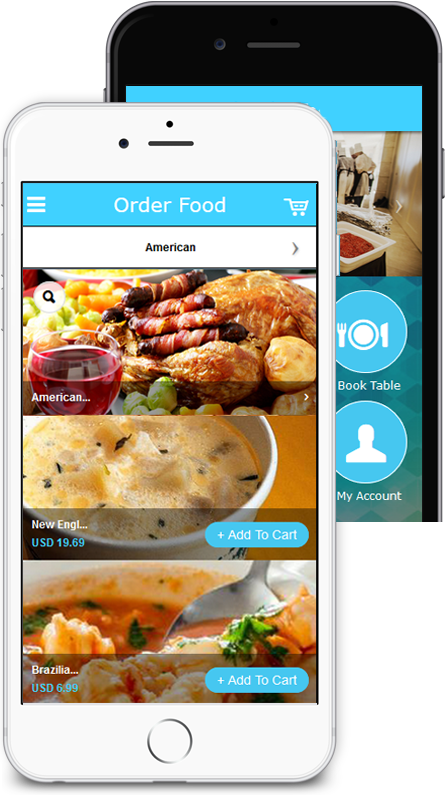 TREC is an all in-one advertising and ordering app with the merchant in mind. 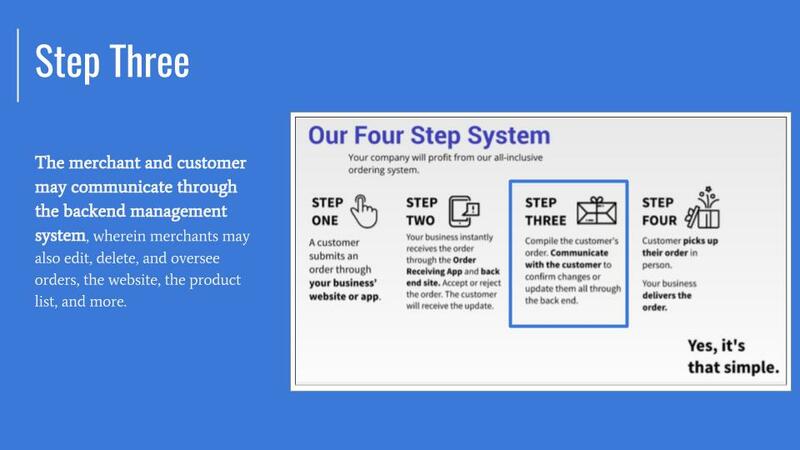 By receiving more value for your money, this becomes an easy decision to make, as your advertising and app ordering solution is a sure way to bring in more business and happy customers. 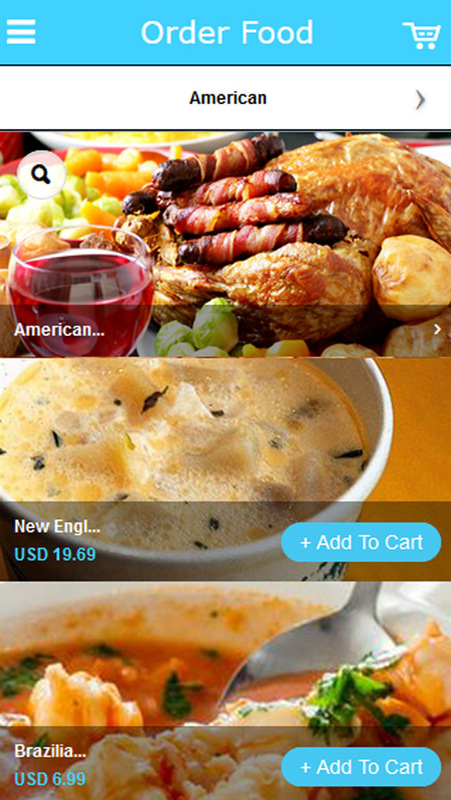 This is an online and mobile advertising platform for businesses inventory. 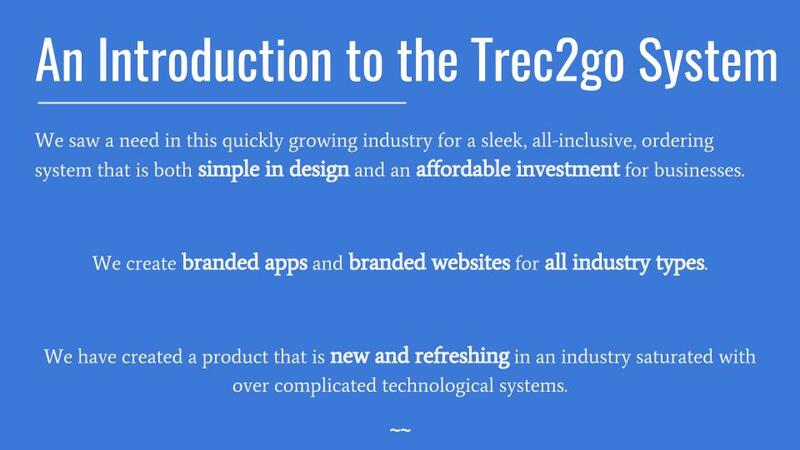 Get your company name on the Google Play Store, the App Store and on the Trec2go website in addition to being added to our directory of businesses. 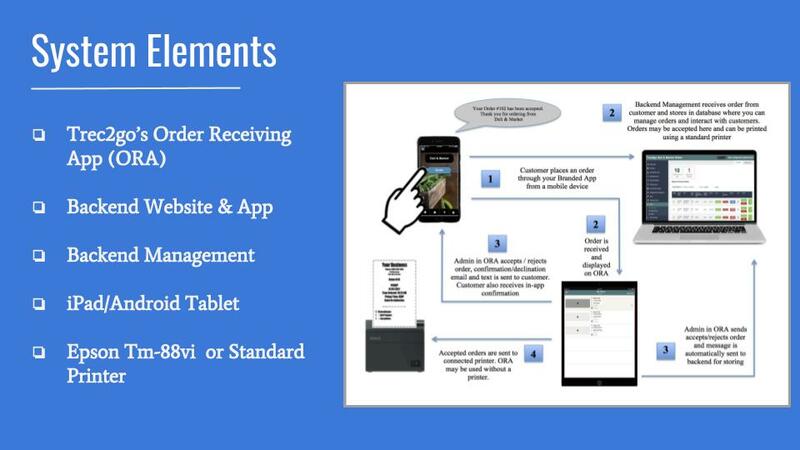 With TREC, our Advertising Web and Mobile Apps integrate directly into payment systems including Authorize.net, TSYS, FD Payeezy, Stripe, Pay Pal, and Payflow Pro payment gateways. 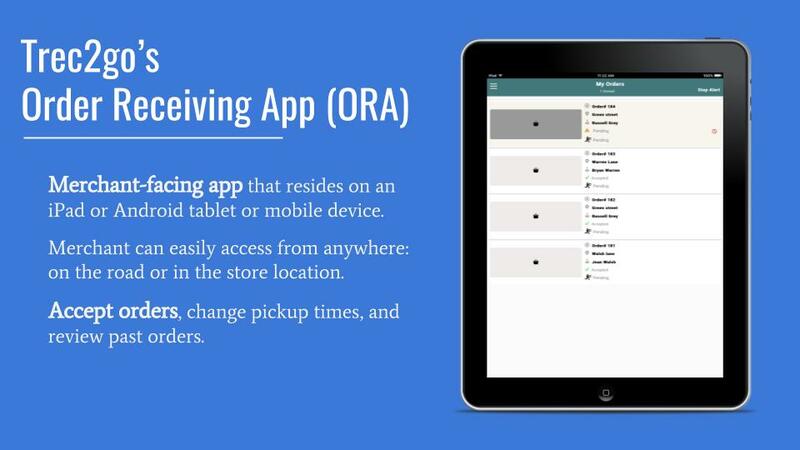 These apps are customizable and easy to use for the merchant and the customer. 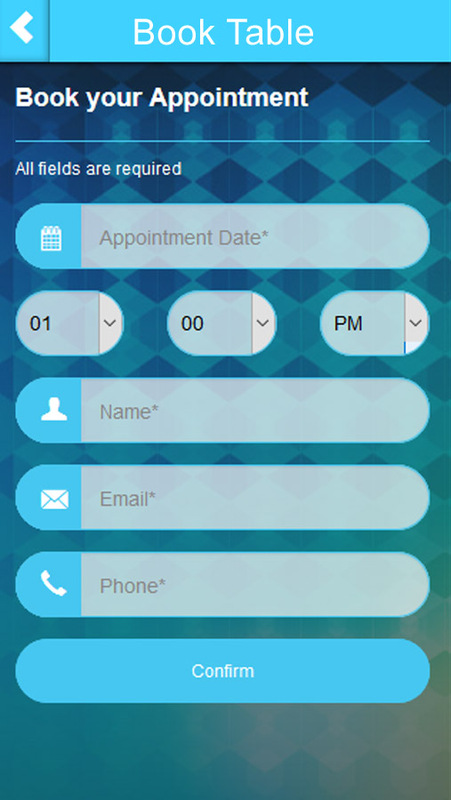 The TREC app provides an efficient way for business owners to take more orders, make reservations or where customers can schedule appointments. 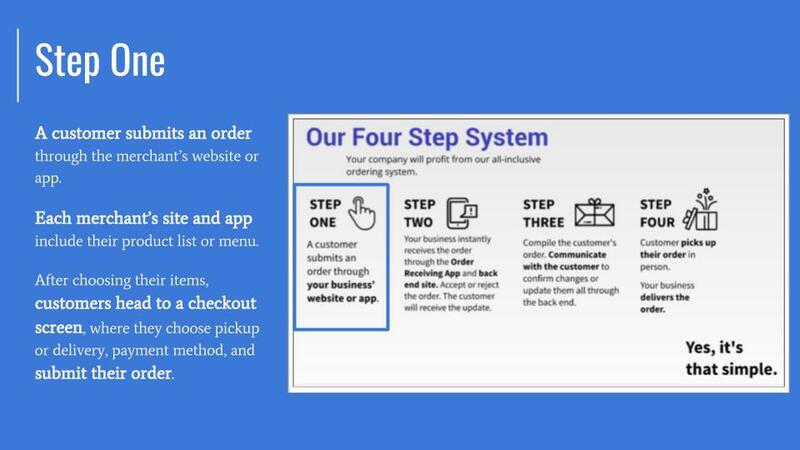 The Trec2go App is an easy to use platform for both the business owner who is receiving and preparing an order to scheduling a delivery of flowers or fuel oil, to the person who has placed the order and wants to have it ready for pickup or to have it delivered for their convenience. 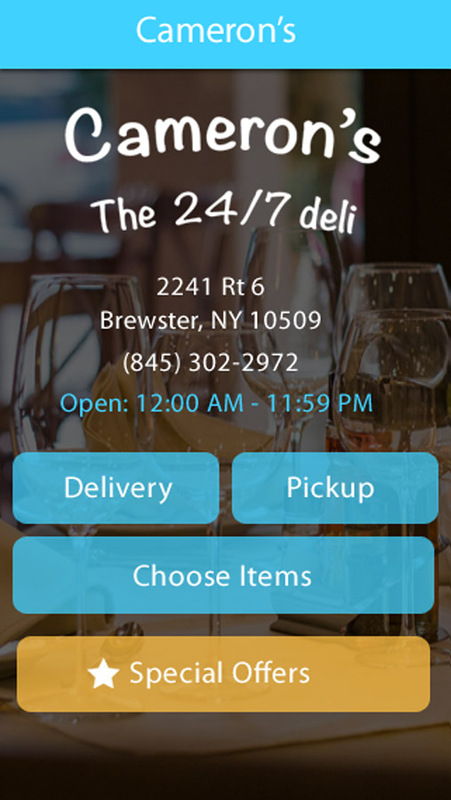 TREC can assist in the increase of sales for any business by providing an app for customers to seamlessly order from. 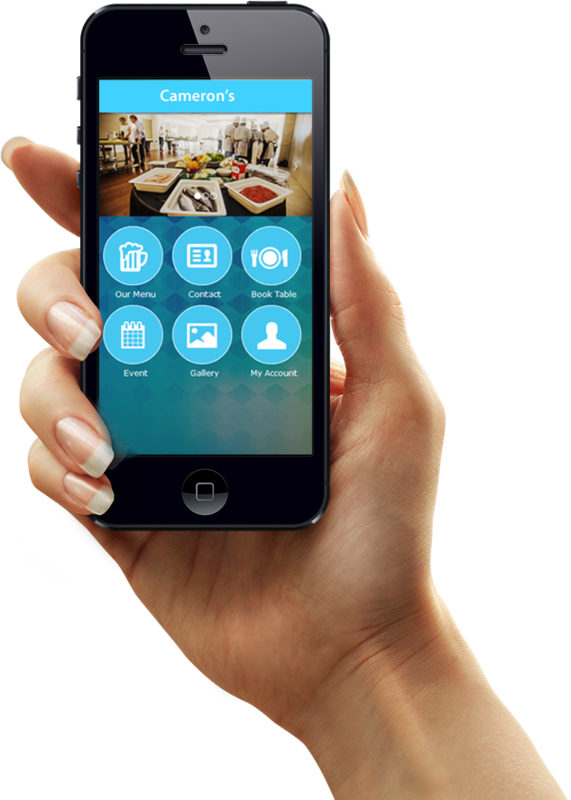 It has the ability for more customers to locate your business and has the ability to push more customers to you. 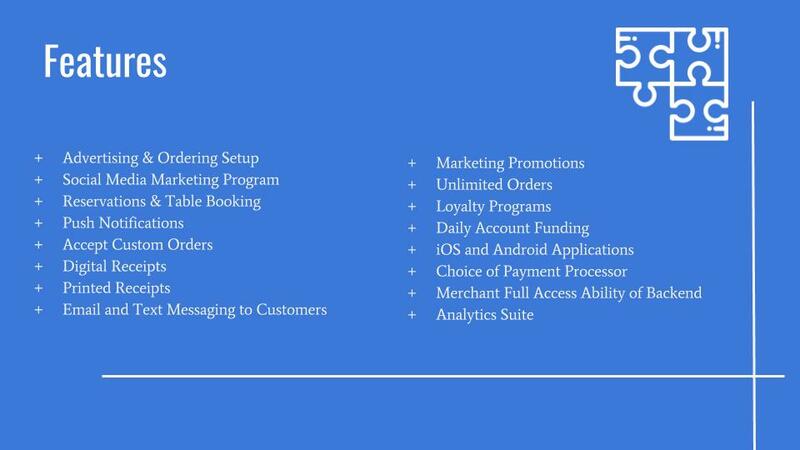 We provide the technology, integration, handle the questions and have a support system in place for merchants and customers. ONE PRICE. TWO APPS AND A WEBSITE. 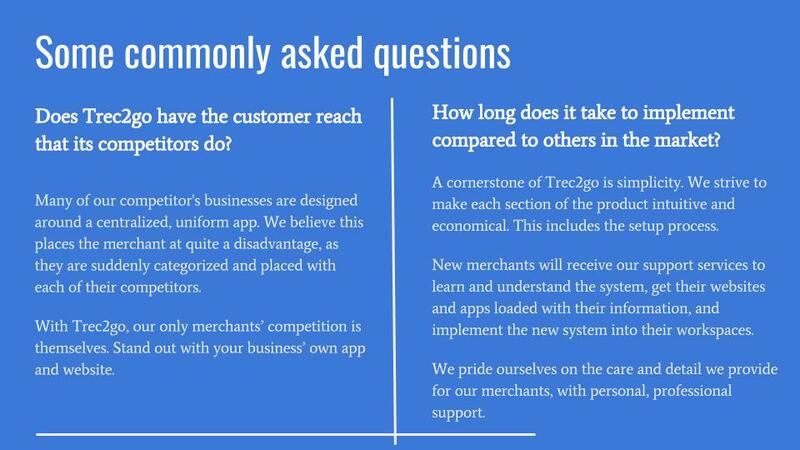 Trec2go is an app with the merchant in mind. 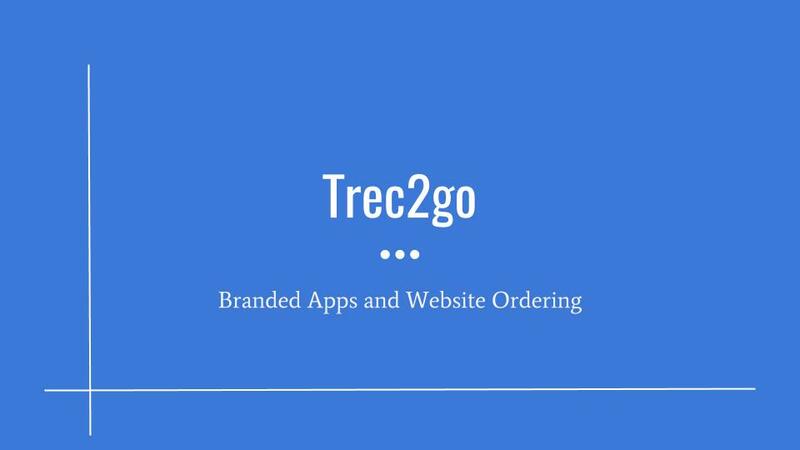 By receiving more value for their money, merchants having an easy decision to make, and therefore choose Trec2go as their advertising app ordering solution. found on the App Store and Google Play Store. This agreement (“Agreement”) is entered into between Dalcott Corp. d/b/a TREC® (“Us”, “We” or “Our”) and you (“You” or “Your”). In order to use the service (“Site”), You must accept the terms and conditions stated below. 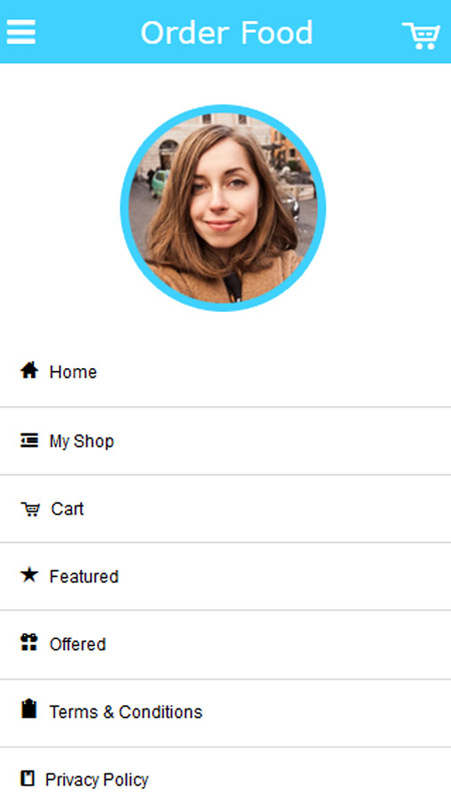 The Site is a publicly accessible website or application directory of information for consumers looking to order products or services. 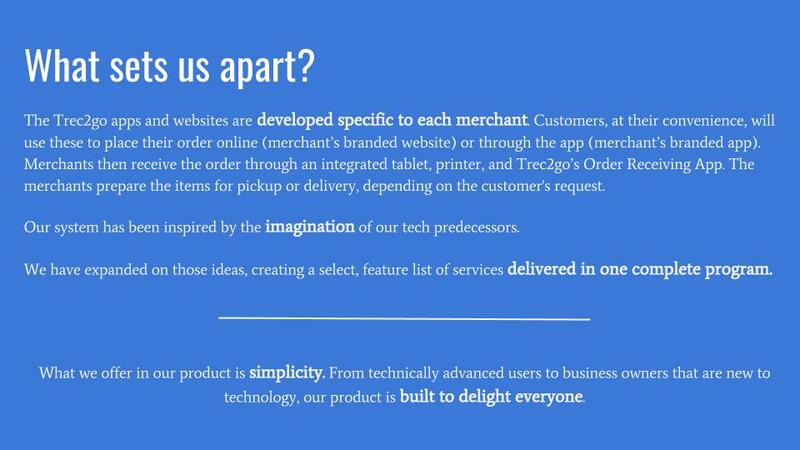 Which enables you as the consumer to access different products and services which people have placed on the site. 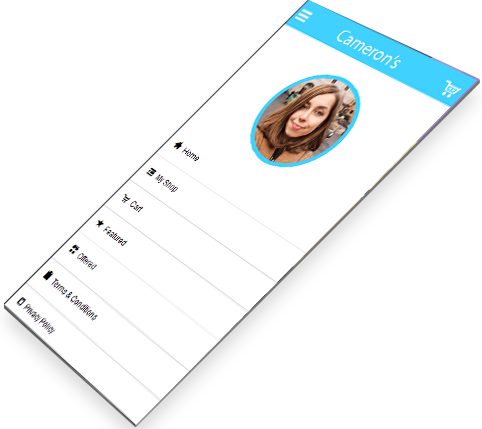 For the user, which enables You to access information and functions including online classifieds, forums and various email services (“Services”). 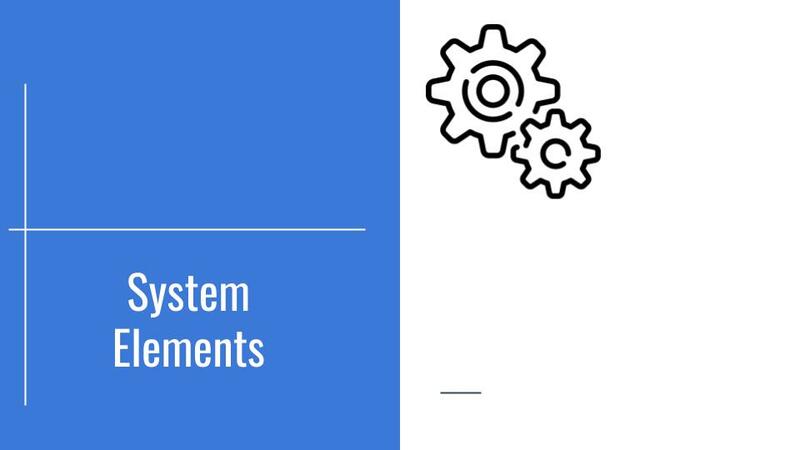 In order to access or utilize certain aspects of the Site, You may be required to establish and maintain a valid user account (“User Account”) with Us. We offer various levels of User Accounts, which provide varying degrees of access and functionality. Additional information regarding the User Accounts may be found here. c. Age Requirement. By using this Site, You certify that You are at least 18 years of age. If You are between 13 and 18 years of age, Your parent or legal guardian must accept the terms of this Agreement and agree to be bound by this Agreement. If You are accepting this Agreement on behalf of someone between 13 and 18 years of age, You understand and agree that You, as the parent or legal guardian, are fully responsible for such person’s actions, including, without limitation, all legal liability and financial obligations such person may incur. 3. Your Right to Use the Site. a. Your Responsibilities. You are responsible for: (i) certain aspects relating to the security of the Site, including, but not limited to Your access, user names, passwords, and the facilities You utilize to interact with the Site; (ii) all of Your activities that occur through or in connection with the Site; (iii) any act or omission by You relating to access to and use of the Site; and (iv) implementing security and other policies and procedures necessary to limit access to the Site, including, but not limited to, the maintenance of the confidentiality of all usernames and passwords. You agree to immediately notify Us of any attempted or actual unauthorized access or use of the Site and/or any other breaches of security. You acknowledge and agree that We will not be liable, directly or indirectly, for any acts or omissions by You, including any damages of any kind incurred as a result of Your acts or omissions. 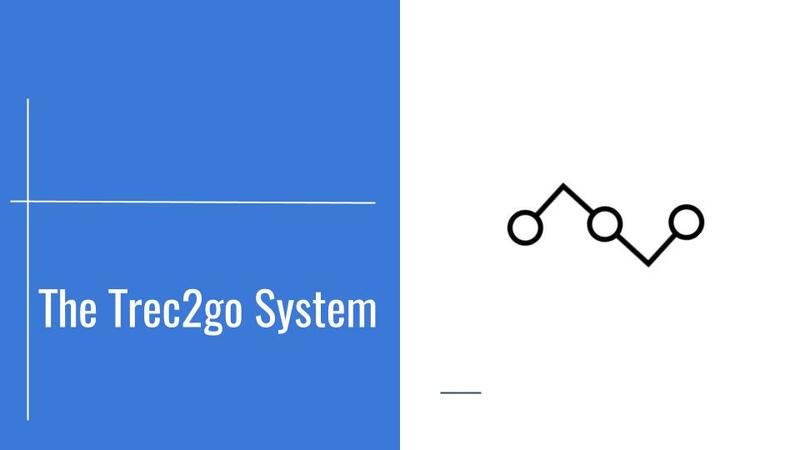 If You suspect or become aware of: (i) any loss of Your passwords; or (ii) any attempted or actual unauthorized access to Your accounts, You must immediately notify Us at info@trec2go.com. c. Our Obligations. You understand and agree that We may, without notice to You, access, preserve, and disclose any information provided by You (including, but not limited to details relating to Your User Account) if required to do so by law, or if, in Our reasonable judgment, such is reasonably necessary to: (a) comply with Your requests for assistance with the Site; (b) comply with legal process; or (c) address claims from third parties that any of the Services You have acquired or Your Content (or portions thereof) violate their rights. 9. Termination of Your Account. i. breaches of this Agreement or Other Agreements; ii. requests by law enforcement, government agencies or court order; iii. security and technical issues or problems; iv. non-payment of any fees owed by You; or v. extended periods of inactivity. 10. Links and Dealings with Outside Parties. 11. Your Indemnification of Us. You will indemnify, defend, and hold Us harmless from and against all liabilities, damages, and costs (including, but not limited to, reasonable attorneys’ fees and all settlement costs) arising out of or related to a third party claim regarding: (i) Your (or anyone using Your User Account) infringement or misappropriation any Proprietary Rights; (ii) any of Your acts or omissions, including, but nor limited to, Your misrepresentation of any information You provide to Us; (iii) anything arising out of or related to Your Content; or (iv) Your use of the Site in violation of this Agreement (including, but not limited to, Your breach of this Agreement). We reserve the right, at Your expense, to assume the defense (if applicable) and control of any matter relating to Us, and You shall provide reasonable assistance with respect to such claims. You will not settle any matter relating to Us without Our prior written consent. 12. Representations and Warranties. i. All of the information You provide to Us is correct; ii. You have all necessary right, power and authority to enter into this Agreement and to perform the acts required of You under this Agreement; iii. You will not harasses or causes distress or inconvenience to any person via the transmission of obscene or offensive material of any kind; iv. You will not disrupt the normal flow of any access to, or use of, the Site; v. You will not use the Site or any of the Services in a manner not permitted under this Agreement or in a manner that interferes with any websites or network resources operated by Us or any third-party; vi. You agree to comply with all applicable tax laws regarding the purchase of any materials obtained through the Site, and that compliance with such tax laws is Your responsibility and that of the providers of such materials, and not Our responsibility; and vii. You agree to comply with all local rules regarding online conduct. vi. 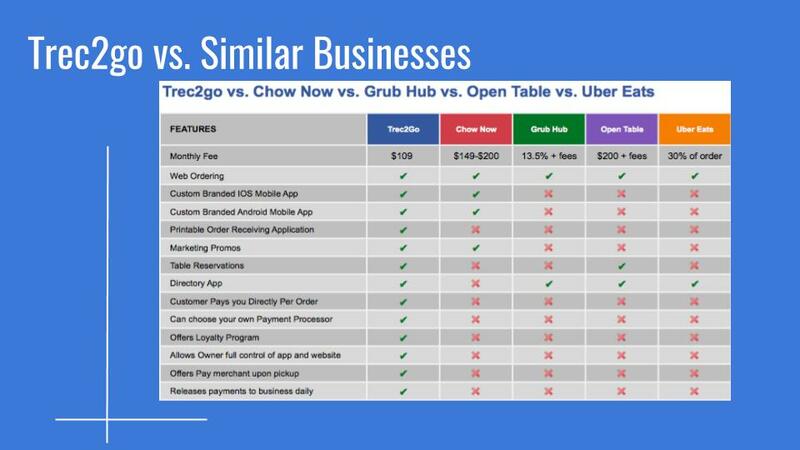 PRODUCT PRICING. 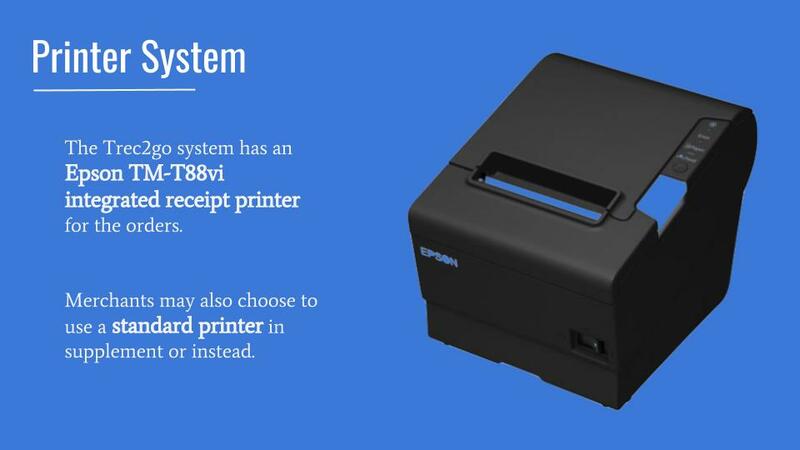 PARTICIPATING MERCHANTS ARE SUBJECT TO CHANGE, AND ARE NOT GUARANTEED TO BE AVAILABLE AT ALL TIMES. TREC DOES NOT ASSUME RESPONSIBILITY OR LIABILITY FOR THE ACTIONS, PRODCUCTS, LOCATIONS OR CONTENT OF ANY MERCHANT. 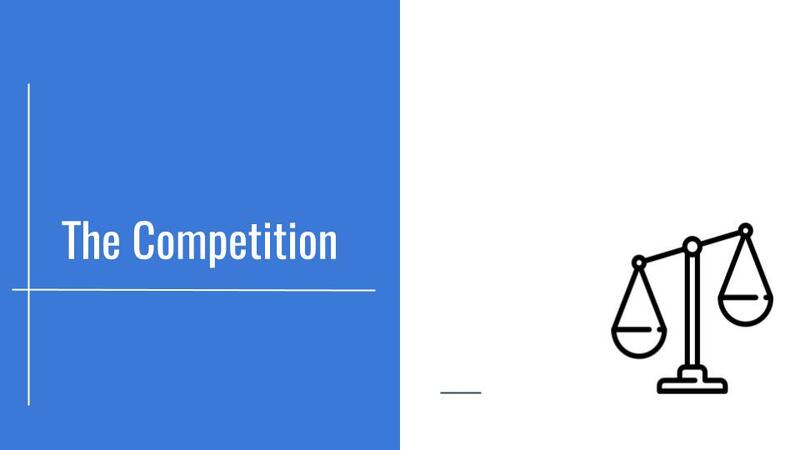 YOU ACKNOWLEDGE AND AGREE THAT TREC IS NOT RESPONSIBLE FOR THE PRICING OF THE PRODUCTS, AND THE MERCHANTS ARE SOLELY RESPONSIBLE FOR SETTING THE PRICES FOR PRODUCTS AND REVIEWING THEIR ADVERTISING SECTION ON TREC FOR THE ACCURACY OF ITS CONTENT AND PRICING MAY CHANGE AT ANY TIME WITHOUT NOTICE. YOU EXPRESSLY UNDERSTAND AND AGREE THAT WE (INCLUDING ALL OF OUR SUBSIDIARIES, AFFILIATES, OFFICERS, DIRECTORS, AGENTS, EMPLOYEES AND LICENSORS) SHALL NOT BE LIABLE TO YOU FOR ANY DIRECT, INDIRECT, INCIDENTAL, CONSEQUENTIAL, SPECIAL, PUNITIVE OR EXEMPLARY DAMAGES, INCLUDING, BUT NOT LIMITED TO, DAMAGES FOR LOSS OF PROFITS, LOSS OF GOODWILL, LOSS OF USE, LOSS OF DATA OR OTHER INTANGIBLE LOSSES (EVEN IF WE HAVE BEEN ADVISED OF THE POSSIBILITY OF SUCH DAMAGES), RESULTING FROM: (i) USE OR THE INABILITY TO USE THE SITE; (ii) THE COST OF OBTAINING SUBSTITUTE GOODS OR SERVICES; (iii) UNAUTHORIZED ACCESS TO OR ALTERATION OF YOUR TRANSMISSIONS OR DATA; (iv) STATEMENTS OR CONDUCT OF ANY THIRD PARTY ON THE SITE; (v) ANY INFORMATION, PRODUCT, OR SERVICE YOU OBTAIN THROUGH THE SITE; OR (vi) ANY OTHER MATTER RELATING TO THE SITE. THESE LIMITATIONS SHALL APPLY TO THE FULLEST EXTENT PERMITTED BY LAW. We are dedicated to operating in accordance with the U.S. Copyright Law and ask You to comply as well. The Digital Millennium Copyright Act of 1998 (“DMCA”) provides owners of copyrighted material who suspect that their rights under U.S. Copyright Law have been violated with certain remedies. One such remedy is contacting the Internet service provider’s designated agent to report suspected infringements that appear on Web pages hosted by that Internet service provider. c. We reserve the right to terminate Your account or remove any content if We, in our sole discretion, believe the DMCA notification meets the criteria listed below. d. Notification of Claimed Copyright Infringement. 6. A statement that the information in the notification is accurate, and under penalty of perjury, that the complaining party is authorized to act on behalf of the owner of an exclusive right that is allegedly infringed. iii. Elements 1-6 above are taken directly from 17 U.S.C. 512(c)(3). Please consult the DMCA for additional details on the information necessary for valid notification. h. Survival. In the event of any termination or expiration of this Agreement for any reason, all provisions of this Agreement whose meaning requires them to survive shall survive the expiration or termination of this Agreement, including, but not limited to, Sections 3.b, 3.c, 3.e, 4, 5, 7.a, 8.c, 9, 10, 11, 12.b, 13, and 14. i. Export Control Notice. Regardless of any disclosure made by You to Us of an ultimate destination or use of the Site or any Services, or other materials, products, goods, or services You obtain through the Site, You acknowledge and agree that such may be subject to the United States export control laws. You acknowledge Your exclusive obligation to ensure that Your obtaining and use of any Services, materials, products, goods, or services are in compliance with the United States export control laws.